We are excited to announce that we will soon be offering the area’s first CT scanner to both our patients and those of other local vet practices. If you attend our Poole clinic you will likely have seen the building work taking place and been wondering what is going on and it is all to do with the creation of this exciting new facility. To further extend our capabilities we are also constructing a new consulting room, a dedicated dental theatre, a further operating theatre and new staff quarters. All of this will ensure that we continue to provide our growing family with the highest level of veterinary care possible. However it is the installation of the area’s first CT scanner that is truly revolutionary and creating the most excitement – so what is a CT scanner and what does this all mean? What does 'CT' stand for? CT stands for 'Computed Tomography'. A CT scanner is a sophisticated machine that uses high power x-rays alongside a computer to create detailed pictures of the inside of the body. The scanner consists of an x-ray device that spins around a large tube and builds up a 3D picture by putting together hundreds of x-ray 'slices' as the body moves slowly through the tube. How might a CT scanner benefit our pets? CT scans provide extremely detailed information about the inside of numerous area of the body. Many of these areas are difficult to visualise using more readily available equipment such as x-rays, ultrasound and endoscopes. What areas of the body can be scanned? All areas of the body from the tip of the nose to the end of the tail can be scanned in a CT machine. It can be very useful to pinpoint the presence of tumours in areas like the skull, chest and abdomen as well as assessing the shape and structure of major organs such as the heart, liver and kidneys. It is also hugely useful in the diagnosis of a range of orthopaedic problems including joint disease, fractures and spinal problems. It can also assist with the identification of conditions affecting the head region such in the nose, sinuses, jaw, teeth and inner ear. Why is CT not more widely available? 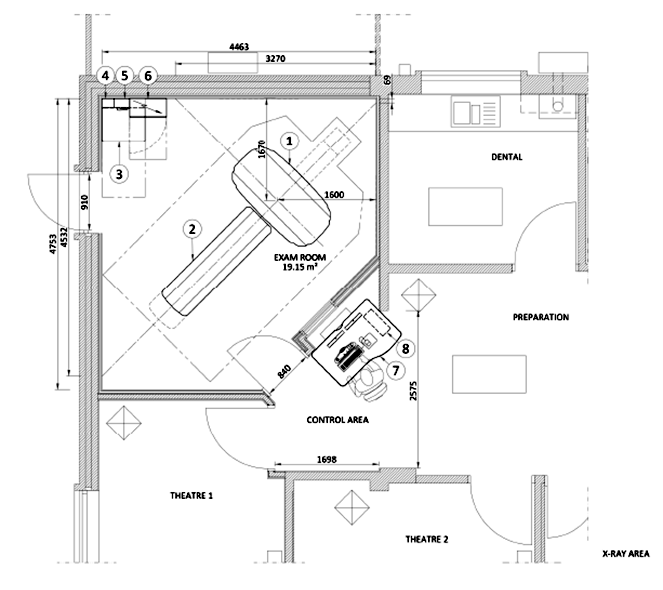 CT scanners are hugely expensive devices costing well over £100,000 and they require the construction of purpose built structures in which to be housed. These have to be built to a high specification with a lot of shielding to prevent harmful radiation escaping the building and careful climatic control to prevent the scanner from overheating. They also need to be equipped with anaesthetic machines and all the usual equipment found in the surgical theatres to maximise patient safety. The CT scanners themselves also need quite a lot of servicing and regular maintenance which runs into tens of thousands of pounds annually. Finally they also require a dedicated team of highly-trained staff to operate the machine and interpret the images. Installing a CT scanner therefore requires a major commitment of time, space, money and resources which is beyond the scope of most practices. Due to the factors mentioned previously, CT scans have typically been an expensive facility - typically costing upwards of £1000-1500 per scan. This high cost has made them too expensive in many cases. However the improved uptake of good quality pet insurance in recent years has helped make it a realistic option for an increasing number of patients. At Natterjacks we are committed to making the latest technologies more widely available and more affordable so we will be looking to offer scans for at least half the usual cost and hopefully even less. How do I arrange a CT scan for my pet? 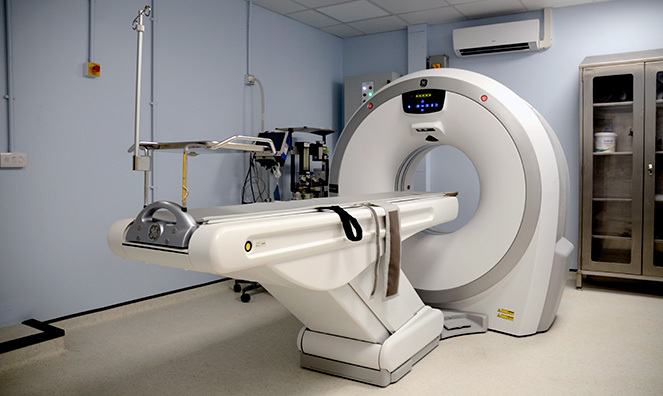 Your veterinary surgeon will recommend a CT scan if they think it will be useful in the diagnosis or management of a condition in your pet - you may ask them if they feel it is appropriate but it will need to be on their advice and recommendation as it is not suitable for all patients or all conditions. What is the procedure on the day of the scan? Your pet will need to have an anaesthetic for the scan to be performed so the usual pre-operative advice applies (eg no breakfast on the morning of the scan). We will typically admit your pet between 8am and 9am in the morning and then discharge them in the afternoon. If you ask at reception we can provide you with a more detailed sheet outlining the usual protocol for preparing your pet ahead of the procedure. Any risks are very small - modern anaesthetics are very safe and your pet will typically be asleep for less than 30 minutes for the CT scan to be performed. The scanner uses high power x-rays to obtain the images but there is no residual risk from this to your pet or to you once the scan is complete. How quickly will I get the results of the scan? CT scans produce hundreds of pictures and are vastly more complex to interpret than normal x-ray and ultrasound images so it may take a few days to get the results. In some instances it may be very obvious and our vets may be able to make a speedy diagnosis but in many cases the images will need to be assessed by an external CT imaging specialist via email. This may take a few days and incur additional fees. 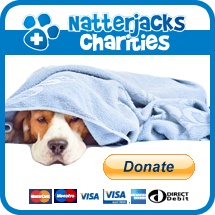 My pet is registered at another vet practice - can I get a CT scan for my pet at Natterjacks? Yes - we will be offering the CT scanner on an outpatient basis so that all pets in the local area can benefit. We will need a referral from your vet and will then send the scans back to your vet for them to report and discuss the results with you.